Interior lighting can have a large impact on a room’s ambiance and style while providing practical benefits. 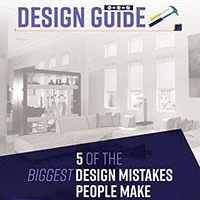 It’s also relatively inexpensive and causes less upheaval compared to other design projects. If you’re hanging a light fixture, the height of your ceiling is an important consideration. Lights that have adjustable rods or cables are more flexible, but not all have this option. In general, the bottom of a light should hang from 12 to 20 inches below an 8-foot ceiling. If your ceiling is higher, add three additional inches for each inch of ceiling height. Toe kick lighting, which is installed at the bottom of a base cabinet, can create an interesting look at night while increasing safety. It also adds depth and character to a room by balancing light from ceiling to floor. Lighting shouldn’t be limited to downlights. Wall sconces or uplighting can help you avoid harsh downlighting that can create large shadows, and they can also give your room a softer look. If you’re hanging a light over a table or kitchen island, place it so the bottom of the light is about 28 to 34 inches away from the top of the table or other surface. If your light is fairly small, it can be placed lower, and if it’s large, it can be placed higher. Lightbulbs of any type now come in a range of warm or cool hues. 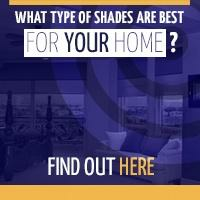 If your walls are a cooler color – such as blues or greens – you may want to warm the room up with a warm-colored bulb. If you have walls in warmer colors – such as reds, yellows, and oranges – you may want to choose a cool-hued bulb. Bulbs that emit cooler colors can also help brighten darker spaces. 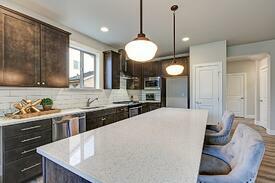 If you want to try pendant lighting, you don’t have to change your home’s electric setup. Instead, choose lights with cord swags that can be secured to the ceiling or hung loosely over a bar or hook. Light fixtures don’t have to always be in clear or neutral tones. A brightly colored lamp shade can add a great pop of color to a room, especially when the light is turned on. You can easily control the amount of natural light that comes into a room by installing motorized interior window shades. 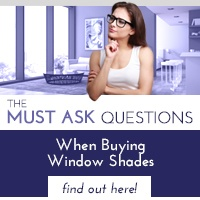 With just a flick of a switch, you can enjoy light when you want to or lower your shades when you want to keep light at a minimum or would like some privacy. 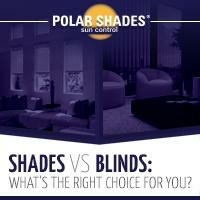 If you’d like to find out more about how motorized interior window shades can enhance your home’s lighting, call Polar Shades at 702-260-6110 for a free in-home consultation.